Lately I've found myself making some snarky remarks on FB comment strings. And I *want* to make a lot more than I do. This isn't usually my thing. I think these comment debates are largely pointless, have real potential for needless harm and my job as a journalist means I shouldn't be spewing my opinions all over the Internet anyway. Either you're arguing with a total stranger, or you're possibly fracturing a relationship with someone you may get along with perfectly fine otherwise. I value social media a lot, as a way to stay in touch with farflung family and friends, to read and share interesting articles I wouldn't otherwise have seen, to find out what's going on in my community. I like funny comment strings but I've never been tempted to use that as a venue for argument, except about important matters such as what will happen next on Game of Thrones. But lately ... I *want* to. I think this is the result of this bizarre and intense political season and our recent outbreak of publicized violence. I recently wound up making a snarky remark in response to a total stranger's comment on a friend's post. The post was about the recent shooting of Charles Kinsey, an unarmed therapist who was attempting to help an autistic man who had wandered out of the group home where Kinsey worked. Kinsey was lying on the street with his hands in the air when he was shot in the leg by a North Miami Police officer. That officer may have been aiming for the autistic man, who was holding a toy truck that may have been mistaken for a gun. This is all very terrible in so many ways, except that at least Kinsey wasn't killed. One friend posted a story about it. Other people started commenting, adding that there were positive things going on in the world, you know. But "the media," those jerks, just like to post about the negative. But I was particularly annoyed in this case because I work for a South Florida news organization where my colleagues, led by the apparently tireless Nadege Green, have been covering the hell out of this story. And even though I work 150 miles away and have not been involved in the coverage, I know for a fact that they are not doing it because they enjoy inflicting negative feelings onto the world. Covering this story is not easy. It is not fun. I'm quite sure my colleagues would much rather be leaving work at a reasonable hour, spending time with their families and friends, working on stories about some more fun aspect of life in South Florida (and yeah, we do those - lots of them). But they're covering the hell out of this story because it matters. When an unarmed therapist lying on the street with his hands in the air gets shot, possibly because the cop was actually aiming at the unarmed autistic client sitting in the street with a toy truck - yeah. Maybe people should know about that. And think about how it happened, and how such things might be prevented in the future. I didn't put all that in my snarky remark but that's what's been obsessing me ever since. If only I could yell at enough people, they would get it, right? The International Court of Facebook Commentary Justice would issue its ruling on my behalf! Which leads me to another point, which I think applies to the original commenter at whom I snarked - and to me. I totally get feeling overwhelmed and occasionally enraged by aforementioned media/social meda cacophony. It is overwhelming and occasionally enraging and your social media channel of choice (mine is Facebook) can be horribly addicting. So take responsibility and take a break. Walk away from the computer or phone. Read a book. Walk the dog. Watch something totally silly on TV. I recommend "30 Rock," "Arrested Development" and "Flight of the Conchords" - they all hold up to repeat viewings. Listen to a podcast, or an audiobook. When you are unhappy with what the media is posting, you are unhappy with your choices in media intake. You have the power to change that. So now, I just need to take my own advice. I read a couple of Anne McCaffrey books as a kid, but I was never all that into dragons. I like them when they show up in George R.R. Martin's Song of Ice and Fire — and especially in the HBO Game of Thrones adaptation — but that series is really about the people. Dragons are just a superweapon. But in Naomi Novik's Temeraire series, dragons are characters and that's the genius of the series. She just wrapped it up with League of Dragons, and she did it well. Fortunately there are nine books in all so if you're feeling bereft about the end of the series you can just start from the beginning again, with His Majesty's Dragon. I can't really suggest these books for people who are jonesing for Game of Thrones between TV seasons or the much longer wait between books. The better comparison is with Patrick O'Brian's Aubrey-Maturin series — because both are set in the British service during the Napoleonic wars and have a friendship at heart that is the most important in both parties' lives. 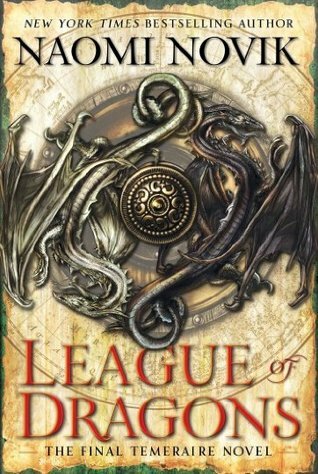 But Naomi Novik is obviously writing an alternative/fantastical version of history (there are dragons!). So you get fun twists you'll never find in straight-up historical fiction. Like: Some dragons only allow women to be their captains/companions. Napoleon ranges even farther afield — all the way to South America. And most importantly, our protagonists and the society as a whole are forced to wrestle with their treatment of the dragons, many of whom are more intelligent than most people. Temeraire is an exceptional dragon, to be sure, but he is expert at mathematics and speaks multiple languages. And all the dragons are sentient beings, even if they are too often treated like livestock — or convenient weapons. Really, these books are best suited for anyone who has ever felt strongly connected to an animal, like a dog or a horse. The fantasy isn't so much that there are giant, flying reptiles but that your companion from another species could communicate with you directly — and both delight and exasperate you with his or her idiosyncrasies. Dragons, in Novik's world, are imprinted on the first human who harnesses them and will do everything in their considerable powers to protect that person. Many are intelligent, though they have a weakness for treasure, especially the shiny kind. That consideration of how dragons should be treated within society as a whole is really the heart of this series, and what elevates it above just another fantasy ... with dragons. Though it may have inspired me to give Anne McCaffrey's books another look (it's been more than 30 years). And also to finish the Aubrey-Maturin series, which I have been drawing out for well over a decade now. If you must do this, do it on audio. Or better yet, wait for your local library to get the audiobook. Let’s get the negative out of the way: Julian Fellowes’s Belgravia. This is a serialized novel from the creator of Downton Abbey – I heard an NPR interview with him about it, I like historical fiction, I figured I’d give it a go. I also like to check out innovative or slightly different modes of storytelling – though the serial format is a bit of a throwback, too, it’s one that’s rarely seen anymore. First, the app. It sucked. You had to sign in every time, it never remembered where you were, simply turning pages was far glitchier on the same device than it was in the Kindle or iBooks apps. You had to reload everything every time. New chapters didn’t appear until the day after they were promised. Overall, not pleasant. Second, the content. I listened to the first (free) chapter on audio. Hiring the actress Juliet Stevenson to narrate the audiobook was the best decision anyone made regarding this enterprise. I liked it enough, and was feeling supportive enough about the whole idea, that I invested $14 to get the rest of the book, delivered in weekly installments. I started reading the next few chapters and … see page-turning glitchiness complaints, above. Also, it soon became clear that while Fellowes may be a supremely talented creator of high-end soap operas, he’s not a great writer, even in the context of historical romance. I read enough of those to know. This wasn’t, strictly, a romance — I’d call it more of a melodrama. But it was insanely predictable and two-dimensional even by those standards. I went back to listening to the chapters on audio and found the experience improved considerably – thanks, Juliet Stevenson! Maybe Fellowes just writes better for dramatic presentation than old-fashioned reading anyway. Plus no more glitchy page turning. There’s nothing that makes you feel stupider than repeatedly swiping and tapping your iPad so you can read the next page of a book you don’t like that much that you paid real money for. Was it a waste of time? Kind of, though once I’d plunked down that $14 I was going to see this melodrama through to the melodramatic finale. I think that’s what I’m most annoyed about – if I’d gotten this book from the library or even paid a dollar or two on the Kindle, I would be OK with it. But $14 is real money, bookwise, and I feel like I fell for a British-accented, elaborately costumed scam. And I didn’t even watch Downton Abbey. Worth the wait, and the length. Enough with the negative. Let’s move on to gushing about highly hyped entertainment reading that delivered on its hype: The City of Mirrors by Justin Cronin. This is the third in the dystopian trilogy that started with back in 2010. I was working at the library then and jumped on the train. Loved the first book, liked the second enough to get through it all (these books are loooooong) and I was damned sure going to finish the last. It had been awhile (four years!) since The Twelve, though, so I was a little worried about what I remembered about the plot. And it’s not like you’re going to plow through a thousand-plus pages AGAIN to refresh yourself. So I used the same method I do on the rare occasions that George R.R. Martin produces a book – I read the plot summaries of previous installments on Wikipedia. Plus, Cronin used a future-history-of-the-chronicled-events plot device that reminded me of the events of book 2. And we were off. I loved it. I spent the entire weekend wallowing around in that book – not rushing through, though it was a page-turner, not savoring though I was perfectly happy hanging out in that world. It wasn’t one of those giant tomes where you’re like, “This thing could easily lose a couple hundred pages and no one would notice.” The extended backstory was interesting and a fun return to the 1990s — and a refreshing break from the dystopic present of the novels. I liked it at least as much as the first novel and much better than the second. So I was very grateful to my local library for buying several copies and wish I could take that $14 back from Julian Fellowes and give it to Justin Cronin. All the Austen essentials, delightfully updated. My local library was also kind enough to supply a copy of Eligible by Curtis Sittenfeld. This update of Pride and Prejudice (should that be Jane Austen’s Pride and Prejudice?) got a rave in the New York Times Book Review so I figured I’d like it. And I liked the earlier installment I’d read in this series of contemporary Austen updates. It was also the perfect antidote – or remedy is maybe a better word — to my City of Mirrors book hangover. It’s not like I wanted to live in Justin Cronin’s created world — but I had been so intensely immersed in it that it was hard to focus on minor things like my life and my job. Eligible is a frothy social comedy in the best sense – and it was just so much fun to both learn about these new versions of Bennets and Bingleys and Darcys – as well as watch them reach the happy endings I knew were in store. My only complaint about Joanna Trollope’s version of Sense & Sensibility were that I felt she did some contortions to fit the plot into the 21st century. Sittenfeld’s use of a Bachelor-like reality show (the titular “Eligible”) was brilliant. I loved how she adapted and changed the characters’ roles and ages but managed to hold onto the essentials – Liz is smart but sometimes a little too sharp, Darcy is uptight but honorable, Jasper Wick (ie Wickham) is a charming douchebag, Mrs. Bennett is pretty awful but hey, she’s your mom and Mr. Bennett is smart and funny but disastrously disengaged. Though my favorite change might be the most radical — Kathy DeBourgh as a formidable Gloria Steinem-like feminist icon. I did gallop through this one – really, really short chapters made me feel like I was supposed to be doing that – but I was happy to do so. And immediately went to the library and got the two Austen updates I hadn’t read yet, Northanger Abbey by Val McDermid and Emma by Alexander McCall Smith. I really can’t wait to see who gets Persuasion. So … five stars to Justin Cronin, Curtis Sittenfeld, their editors and publishers and of course my local library. Two stars to Julian Fellowes – mostly for trying something a little bit out of the norm. Stick to screenwriting, dude, and next time hire a much better app developer. Though I will check out Downton Abbey one of these years. 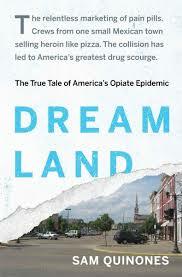 Dreamland by Sam Quinones showed up on a lot of year-end best lists last year. I still resisted it. I know the opiate epidemic, fueled by pill mills, has transitioned into a heroin epidemic, especially in the midwest and the Northeast, where I'm from. I know they are related, and have been devastating to families and communities. But I had a hard time getting past the difference between the societal and governmental reaction to this drug scourge, versus crack in the 1980s — which begot the whole three strikes policy that saw people going away for life for a lousy $30 drug buy. Prescription pain medication abuse wasn't treated the same way. Plenty of people died from the crack epidemic, too. Plenty of lives, families and communities were destroyed. But now pain meds and heroin are affecting white middle class kids and their parents! So suddenly it's everybody's problem. Still, when I saw Dreamland on the table at our new Books & Books at The Studios of Key West I couldn't resist picking it up — and I'm so glad I did. This is one of the best works of reported nonfiction I have read in years. Quinones expertly traces the two streams that converged to create our current opiate epidemic: the over-prescribing of opiate medications, on the (mistaken) assumption that they weren't terribly addictive and the marketing of black tar heroin by young men from one particular region of Mexico. The pain pills were the result of doctors who genuinely wanted to help people - and drug companies (and less scrupulous doctors) that wanted to make money. All of them relied to an inordinate extent on a short letter to the New England Journal of Medicine about the addictive qualities of opiates - a letter that was later cited as a "landmark study" in the popular press and pharmaceutical sales pitches. The Mexican heroin trade looks almost admirable by contrast — because the "Xalisco boys," as Quinones calls them, created an insanely successful, resilient web of heroin sales that relied on pagers (and later cell phones), moving small amounts and an apparently infinitely sales force. They didn't carry guns and they only imported small amounts and carried even smaller amounts when they sold. It was far easier to deport them than to prosecute them. And the drugs were delivered to clients in fast food parking lots, not scary street corners. Quinones assembles an astonishing amount of information and tells the story so well you don't feel like you're reading a treatise or a sociology text. And he takes time, when appropriate, to address that beef I have with the way the opiate epidemic has been treated – because now the kids of people in power are getting affected. The other piece of excellent reporting I've come across recently is the second season of Breakdown. That's the podcast produced by the Atlanta Journal Constitution. They said forthrightly that they were inspired by Serial but in some ways I prefer it. It's more straight-up reporting, with less introspection. And in the first season, they really addressed the systemic problems facing the defendant — and all poor defendants in Georgia. 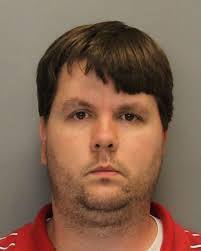 Ross Harris left his son in a car and the boy died. Was it murder, or a horrible accident? Like Serial, the second season is not a question of did-he-or-didn't-he. It's a what-crime-did-he-commit (if any). And they've picked a doozy — Ross Harris, the young Atlanta father who left his toddler son in the car all day. The son died. Harris, it turns out, was a serial philanderer, making the defense's case even harder. Throughout, AJC court reporter Bill Rankin is a terrific guide to the case and to the court system in general. He's knowledgable and good at explaining proceedings for laypeople, as well as consulting attorneys and other experts who know the system from the inside. It's all exactly what I want from a journalism podcast — going deeper into a story than you possibly could in a 15-inch newspaper story or a 4 minute radio feature. Bravo. Unlike its first, celebrated, season, the second season of Serial kind of snuck up on me. Today's installment is apparently the last one and I was really sad to hear that. Both because I thought this season was great — and because I haven't heard or read other people talking about it. 1) It's an entirely different subject. This may be more of an argument in favor of the Serial approach as a whole rather than this individual season. But they deserve huge credit for taking on a whole new subject (Bowe Bergdahl, the U.S. Army soldier who walked off his base in Afghanistan and spent five years as a prisoner of the Taliban) rather than going back to what had been so spectacularly successful in their debut (true crime). 2) It's not fair to call this less complicated — Adnan Syed's case was immensely complicated. And it's not really fair to say this has larger implications because I think Syed's case illustrates a LOT of problems with our justice system in general — even if most people who get all into stories like Serial or Making A Murderer seem to focus only on those individual stories. But Bergdahl's individual story, as investigated by Koenig, wound up telling a hugely important story in a way that it almost never gets told: how terrible conditions are for the soldiers we send to Afghanistan. Not because Bergdahl is some kind of hero. It's pretty clear that he was a young man who was more than a tad delusional about what his individual actions might mean and how he could accomplish his goals. But he's also, it turns out, a guy who washed out of Coast Guard boot camp — and then was accepted anyway when he enlisted in the Army. And anyone with any sense knows he is far from the only person not prepared to handle the conditions he faced when sent to Afghanistan, or any war zone. That's why PTSD is such a widespread problem — and has been from time immemorial. I think in this season, compared to last, host Sarah Koenig and her team did a much better job in conveying the wider social implications of the story they were telling. You really shouldn't listen to the last episode without going through them all — but that last episode was magnificent in spelling out the context. Bergdahl's story reminded me of works of literature from "The Red Badge of Courage" to "A Bell For Adano." I'm sure if I knew my classics better I'd be thinking of Homer, too. And it also made me think pretty hard about my responsibility, as an American citizen, toward the people we send off into these places. The season as a whole also gave me so much respect and compassion for the individual soldiers who served with and looked for Bergdahl. Those of us who don't have a lot of direct contact with the military can find it pretty easy to categorize and dismiss them but they are, wouldn't you know, a group of diverse, intelligent, complicated humans who, like Bergdahl, were trying to cope with some pretty horrific conditions. Because we, as a country, asked them to. 3) Another aspect of this season that I liked so much better was how much less personal the reporting felt. Probably because Koenig did not actually talk to Bergdahl — she was using tapes from filmmaker Mark Boal and his company, Page 1. I appreciated that little bit of distance because she spent less time obsessing about her feelings about her subject and more time just reporting the damned story. She still has that very personal reporting and editing style, in the This American Life vein, and that's totally cool. But I got a lot less of the "how does this story make me feel" vibe that occasionally annoyed me last time. 4) Maybe I should be glad that people aren't talking and writing obsessively about Serial this time ... because one of the other things that annoyed me in the first season was how it was geared and received as entertainment. I get it — I like true crime as much as most people. I read and watch my fair share. And I understand that when you make a story compelling, it gets attention. And that's good. But with subjects this serious — a murder and a murder conviction and the cascading consequences of one young man's reaction to terrible conditions in service of his country — treating it like an HBO drama just feels wrong. I was interested to see, just now, that Mark Boal's company Page 1 was set up "to explore the intersection between reporting and entertainment." At least according to Serial. That is a very interesting, and fraught, intersection indeed. I will be very interested to see what he does with the Bowe Bergdahl material.